Rixty Support - How do I load my account with the "Cashier Top Up?" 62445301681 ../;jsessionid=101793j0spra6rsiad9ncewol8b1.10179?wicket:interface=:0:beta-club:modal-container:modal-content:content:body:login-rixty-form:visibilityContainer:fbconnect::IActivePageBehaviorListener:1:1&wicket:ignoreIfNotActive=true It seems like your browser is preventing Facebook Authentication. This happens when your browser's Tracking Protection is enabled. To continue logging in via Facebook, please turn off Tracking Protection or use a different browser. 62445301681 ../;jsessionid=101793j0spra6rsiad9ncewol8b1.10179?wicket:interface=:0:login-panel-small:login-small:login:modal-container:modal-content:content:body:login-rixty-form:visibilityContainer:fbconnect::IActivePageBehaviorListener:1:1&wicket:ignoreIfNotActive=true It seems like your browser is preventing Facebook Authentication. This happens when your browser's Tracking Protection is enabled. To continue logging in via Facebook, please turn off Tracking Protection or use a different browser. 62445301681 ../;jsessionid=101793j0spra6rsiad9ncewol8b1.10179?wicket:interface=:0:login-panel-small:login-small:signup:modal-container:modal-content:content:signup-form:fbconnect::IActivePageBehaviorListener:1:1&wicket:ignoreIfNotActive=true It seems like your browser is preventing Facebook Authentication. This happens when your browser's Tracking Protection is enabled. To continue logging in via Facebook, please turn off Tracking Protection or use a different browser. 62445301681 ../;jsessionid=101793j0spra6rsiad9ncewol8b1.10179?wicket:interface=:0:redeemcode:modal-container:modal-content:content:body:login-rixty-form:visibilityContainer:fbconnect::IActivePageBehaviorListener:1:1&wicket:ignoreIfNotActive=true It seems like your browser is preventing Facebook Authentication. This happens when your browser's Tracking Protection is enabled. To continue logging in via Facebook, please turn off Tracking Protection or use a different browser. How do I load my account with the "Cashier Top Up?" 1. Determine what amount you want to load into your Rixty account ($5, $10 or $20). a. Clerk selects “Sale” on the Prepaid Terminal. b. Clerk enters his/her operator code. Clerk selects the "Entertainment" category. Clerk Selects "Rixty". 4. 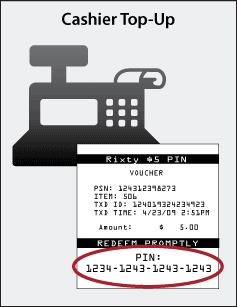 Receive a receipt with a RixtyCode (PIN) for the value you purchased (see image below). 5. 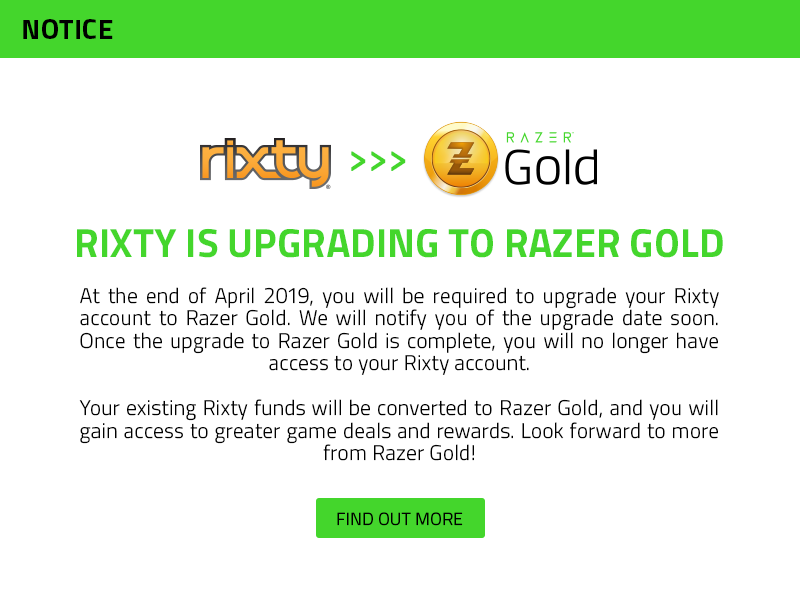 Redeem the RixtyCode (PIN) at www.rixty.com or at the time of purchase inside your game.